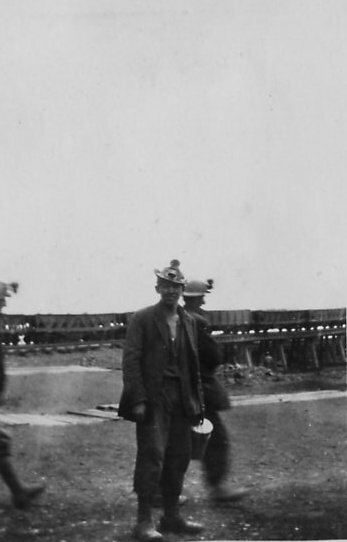 I have no idea about the family who took this nice photos, mainly of the Quincy Mine in June and July 1924. I sure am glad they did. 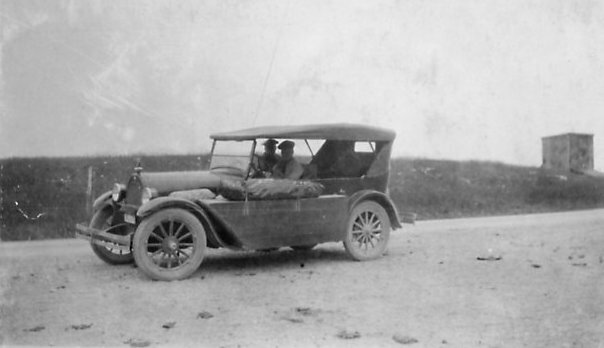 We start our trip on June 30, 1924..
Leaving Quincy Mine at 3pm after a long shift. 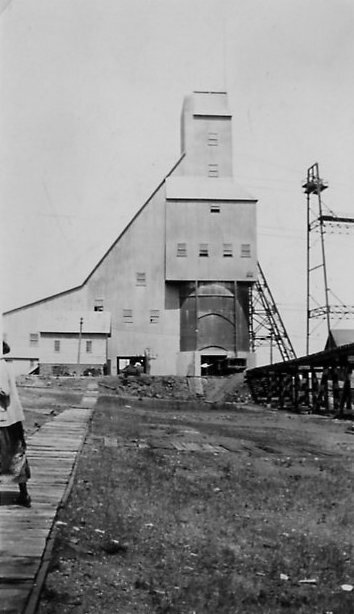 Quincy Mine, notice the nice wooden walkways. 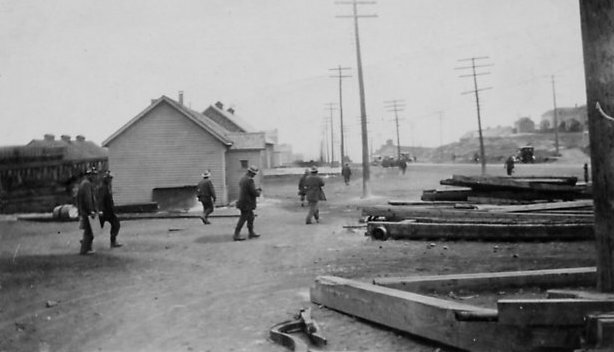 Two Quincy miners with a string of Q&TL rock cars in the background. 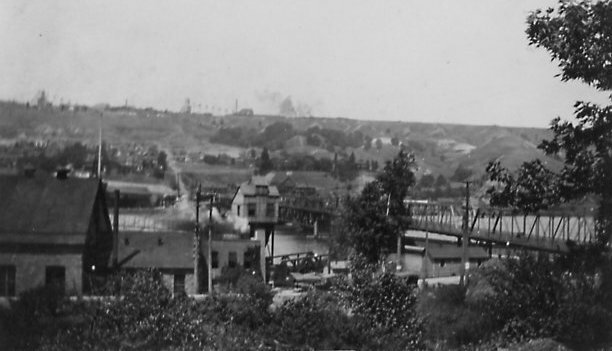 A view of Ripley from Houghton. 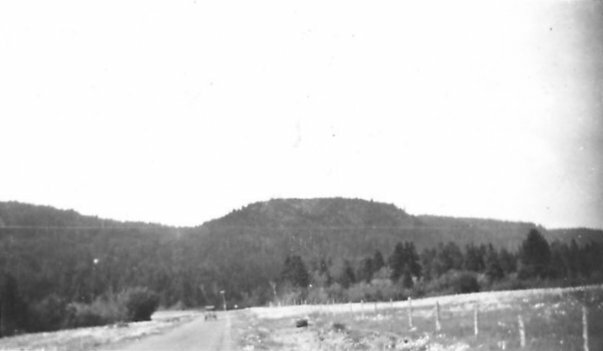 Appears to be a shot of the Portage Canal from the Houghton side, Copper Range tracks in the foreground. 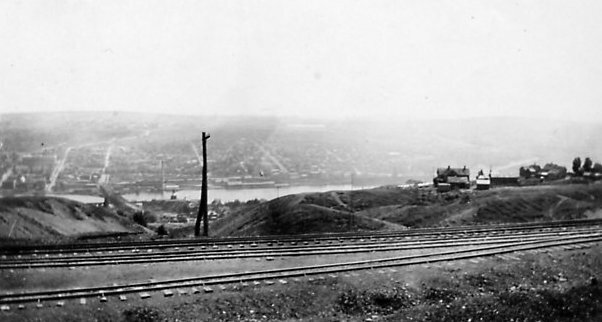 A view of Quincy Hill from just above the Copper Range yard in Houghton. 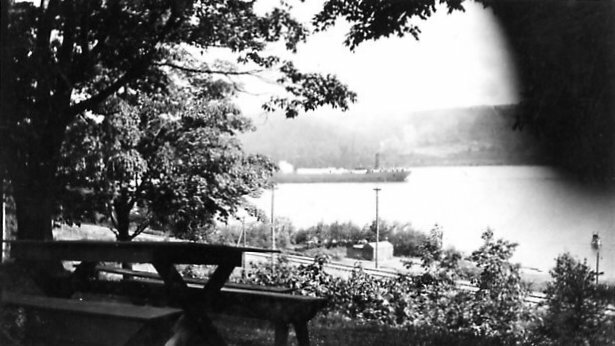 Swing bridge also visible. Great White Pine, location unknown? 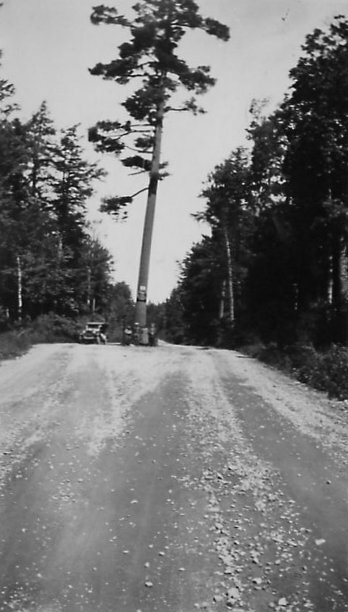 A close-up of the Great White Pine, right in the middle of the road. 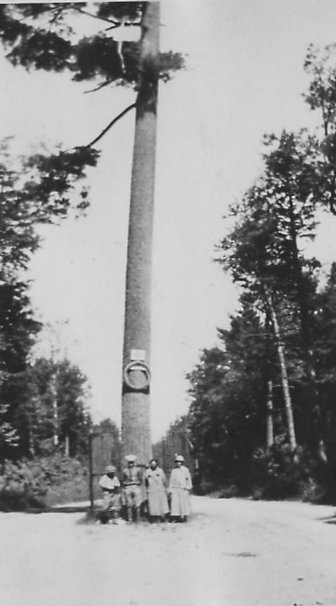 Location unknown? 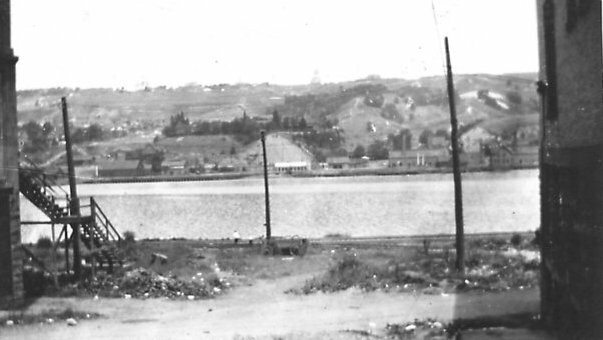 Houghton from Quincy Hill, Quincy & Torch Lake RR narrow gauge tracks in the foreground.